As most available space in many lighthouses is usually filled to capacity, our activity does not have to take place inside the tower itself. Field day type set-up at the light or other building next to the light is OK. Our guidelines require that the station must be AT or ADJACENT to the light. Adjacent means next to or as close as possible in the field next door. The intention behind this requirement is that the station should have a visible presence to the passing public who may be visiting the lighthouse over the weekend. Permission to operate from a lighthouse / lightship should be obtained from the relevant authorities. 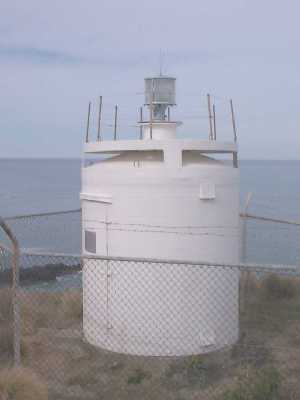 Operation from faux or false lighthouses, lights on poles etc. is discouraged as they are not within the spirit of the event. Lighthouse: Generally regarded as a structure which is or has been listed officially as an aid to navigation in a recognised publication such as the British Admiralty List of Light and Foghorns, and which falls into the classic concept of a lighthouse including those which have been moved to a museum and the ever increasing Glass Reinforced Plastic (GRP) cabinets. Lightships: Similarly, these are those lightships which are or have been listed officially as floating aids to navigation. Examples of some lights which have been submitted for the event but which have been rejected can be seen on this web page. We generally recommend use the event segment of the 5 'Classic' bands with a centre frequency if conditions are bad, then at least we have one place we can (try to) meet. We request that the centre frequencies are not used as primary frequencies but as a last point of call to other participating stations. Because it is NOT a contest you may operate on any authorised frequency as per your licence. The list will gradually be expanded but it will never attempt to be a definitive list of every lighthouse in existence. It will assist operators in difficult conditions to issue a contact number in lieu of the lighthouse name. The list thus far is here. If your lighthouse is not listed, don't worry just enter and leave the number field blank. A number will be allocated after your entry is received. Our numbers are primarily for use during the event. Finally, if you have any questions at all about the event or how to enter, please contact Kevin VK2CE the organiser and webmaster using the enquiry form on this web site. See Main Menu.